Format: Hardcover, 1st ed., 728pp. "...an in-depth evaluation of the effectiveness of natural remedies based on the results of rigorous scientific studies...covers administration, side effects, dangers, proven effectiveness, common uses, and much more." This unique book from a trusted name in medicine rates the effectiveness and safety of more than three hundred natural substances, based on a careful assessment of the scientific research available. The alphabetically arranged listings include every substance readers are likely to want to know about - and some they may not be familiar with, but should be. At a glance readers will learn the source of the substance, the forms in which it is commonly available, the claims made for it, and what scientific studies do (or don't) show about those claims. Known side effects and dangers are noted as well. A basic 1-to-5 rating scale ranks each substance. The highest rating is given to those substances with a great degree of safety and effectiveness based on "years of use and extensive, high-quality studies." Readers also learn how natural medicines are regulated and tested here and abroad, and do's and don'ts when selecting natural medicines. Introduced by Andrew Weil, M.D. of fame, this weighty guide is billed as "the first authoritative home reference for herbs and natural remedies, from the nation's largest and most respected organization of pharmacists." Letter tabs guide one to some 300 natural substances (including devil's dung) rated for their effectiveness and safety; their regulation and testing globally are explained. Page numbers are oddly missing from the "index" by symptom and remedy. Annotation c. by Book News, Inc., Portland, Or. 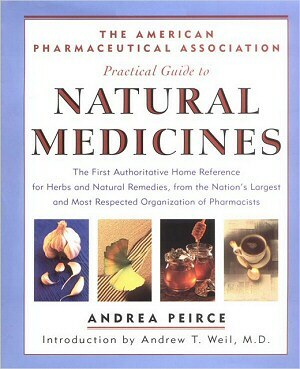 The Natural Medicines - Amazon's online bookstore.